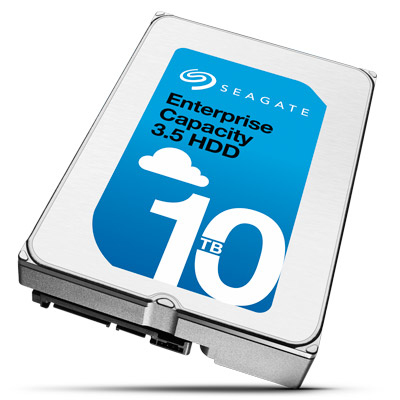 The SeagateÂ® 10 TB Enterprise Capacity 3.5 HDD (Helium) is engineered to lower the total cost of ownership in today's large-scale data centres. You can build maximum-density storage solutions that scale to meet your future capacity needs - while slashing your TCO. Seagate was again selected by IT professionals as the 2016 Market Leader for Enterprise HDDs. Get the full report to see the survey data behind the voting for Market, Performance, Reliability, Price, Service & Support, and Innovation Leaders.